As trackpads on laptops have gotten better over the years, many users just haven't felt the need to carry a mouse while out and about. Although using a mouse is certainly more comfortable than dragging your finger around in a little square on your laptop, it would mean giving up the multitouch gestures that add a whole new dimension of functionality - but maybe it doesn't have to. Logitech's new travel-friendly MX Anywhere 2 brings a set of gestures that may just convince laptop users to pick up a mouse again. Read on for my full review! Logitech's high-end MX mice have been long time favorites for PC enthusiasts everywhere. From the granddaddy MX Revolution back in the day to the Performance Mouse MX of more recent times, they've always struck a great balance of features and ergonomic design. The MX Master is, as its name suggests, the new king of the hill, and this time around, it's offering a set of gestures that may finally satisfy the needs of multitouch touchpad addicts everywhere. Is this the next great MX mouse? Read on for my full review! Although gadgets are mostly wireless these days, the current batch of iDevices still relies on a physical Lightning connector for charging. Your iPhone/iPad deserves a good stand to rest on while this happens, as it can make glancing at its display that much easier when it's sitting on your desk or at your bedside. Of course, you're going to want a stand that will fit all your mobile Apple products, regardless of size or thickness, and that's where the Twelve South HiRise Deluxe comes in. Read on for my full review! The second I took my iPhone 6 out of the box, I knew it needed a case. As beautiful as it is to hold and look at, the iPhone 6 is simply way too slippery with its rounded sides and fine aluminum surface. I don't really enjoy using cases on my phones, but with the Incipio NGP, I think I've found an option that will keep my phone safe in a relatively unobtrusive manner. Read on for the full review! For the longest time, Apple’s Smart Cover and Smart Case seemed like the optimal solutions to protect the iPad mini. However, there’s a new kid in town called the SurfacePad, and it packs some pretty neat features in a slimmer form factor than Apple’s product. Has Twelve South made a iPad cover superior to that from Apple? Read on for the full review! Without a doubt, the Pebble is one of the most successful smartwatch efforts that has come about thus far. It keeps things simple and functional while maintaining a low barrier of entry at $150. Although the company has shipped over 400,000 units, it doesn’t plan to stop at selling plastic smart watches to early adopters. Pebble’s new product targets the mainstream, or simply those who may be more discerning the appearance of their timepieces. The Pebble Steel is a premium $250 alternative housing the same functionality as the original Pebble but boasting an all new design and higher quality materials. Will this succeed in getting smart watches on more wrists? Read on for my full review! Gordon Coale couldn’t find a camera strap he liked, so he decided to make his own. As it turns out, he wasn’t the only one who liked the idea of “gordy’s camera straps.” Since 2005, his handmade leather straps have become largely popular among camera enthusiasts. I have been putting this wrist strap to the test, so read on for the full review! Logitech’s original UE Boom quickly became one of my favorite portable speakers when I tested it a while back. It offers great sound and extensive battery life in a rugged and relatively portable form factor. But what if you’re looking for something even more compact? Logitech has its answer with the UE Mini Boom - read on for the full review! LunaTik is a name most people will associate with watchbands for the iPod nano, but the company also has a range of other accessories for the iPhone and iPad. Today, I’ll be taking a look at the Flak Jacket for the iPad mini with Retina display. 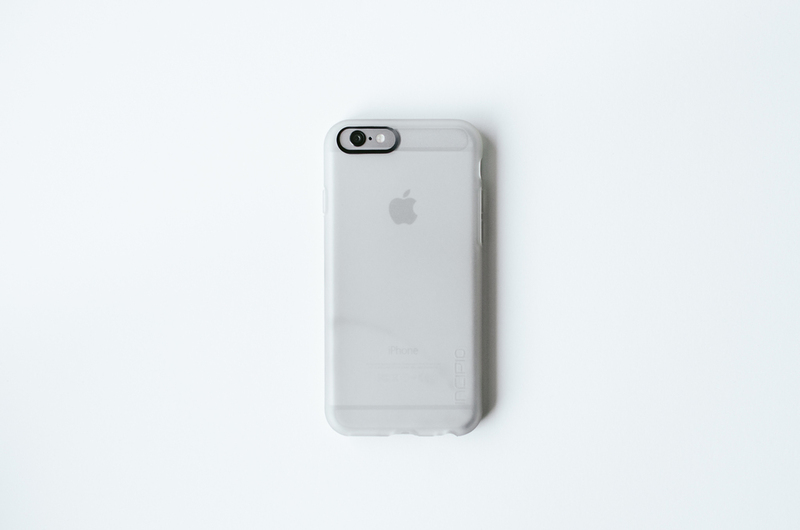 It’s a thin sleeve with a sleek design, but does it provide enough protection? Read on for the full review! Articles previously published on The Hype Review.